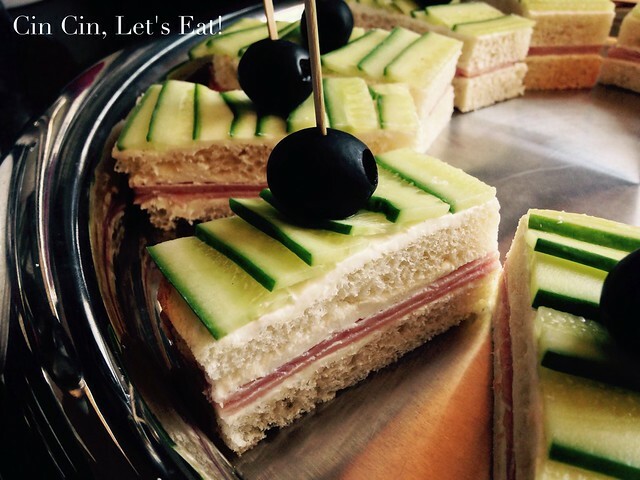 Cucumber Tea Sandwiches [recipe] – Cin Cin, Let's Eat! How gorgeous do these sandwiches look? 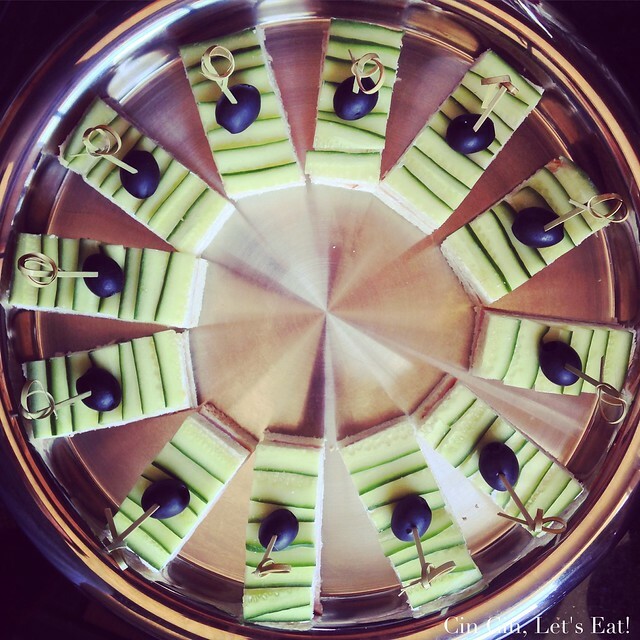 Make these for your party and you will definitely impress all your guests! These sandwiches look like hours of work but they take no time to put together. Owning a mandolin is key to slicing the cucumbers uniformly thin. Wash 4-6 cucumbers. (I like using the smaller varietals like Japanese or Persian cucumbers.) Cut the cucumbers into sections of the same length as your bread slices. Using a mandolin set to the thinnest setting, slice the cucumber length-wise. Once thinly sliced, slice it again with a knife, dividing it in half, length-wise down the center. You should end up with two long strips of cucumber. Spread two slices of bread with cream cheese mixture. Put two slices of ham on only one slice of the bread. Flip the other slice of bread over to make a sandwich. Spread more cream cheese mixture on the top of the sandwich. Neatly place the slices of cucumbers on bread, slightly overlapping each slices. Cut off 4 sides of crusts, then depending on your preference, cut the sandwiches into 4 squares, or 2 rectangles. Top each sandwich with an olive and secure with a toothpick. Cover with plastic wrap (so the bread doesn’t dry out) and keep refrigerated for up to 6 hours.